Work spaces that benefit both people and environment. A compact building has advantages in relation to construction as well as energy efficiency. The trapezoid shape offers a more dynamic look than most offices towers, and it creates good inflow of light through the roof windows. Obtaining the good results of VELUX Langfang Office has required a conscientious effort . The Langfang climate is very cold and dry. 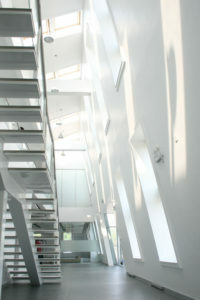 It is a tough climate in which to achieve low energy consumption,the building is an office space. This means that internal heat gains play a major role in defining the heating and cooling loads. 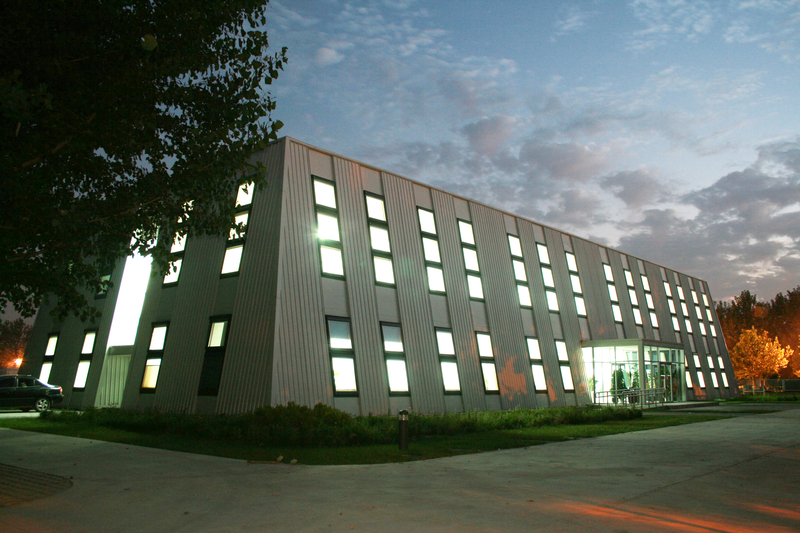 In order to reach the targets, VELUX Langfang Office was equipped with a range of energy-saving technologies. – A TABS system: An embedded network of water pipes in the mid-plane of all concrete slabs. Combined with a ground source heat pump and an outdoor air unit with variable volume, the TABS system provides pleasant and energy-efficient heating. – A highly-insulated and airtight envelope to limit heat losses in winter. Thickness of Rockwool insulation in floor, 250 mm; roof, 200 mm; walls, 150 mm. – Solar thermal collectors heating domestic water. – Awning blinds that prevent overheating, thereby reducing the need for cooling on hot days. 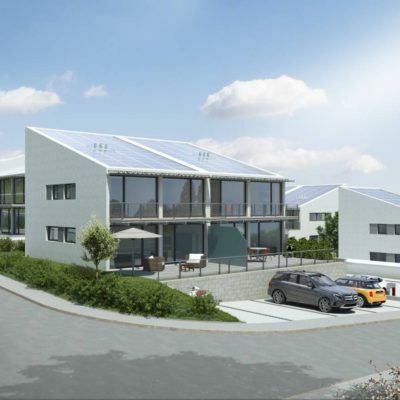 – Heat pump − supplying the building with energy extracted from the ground under the building. 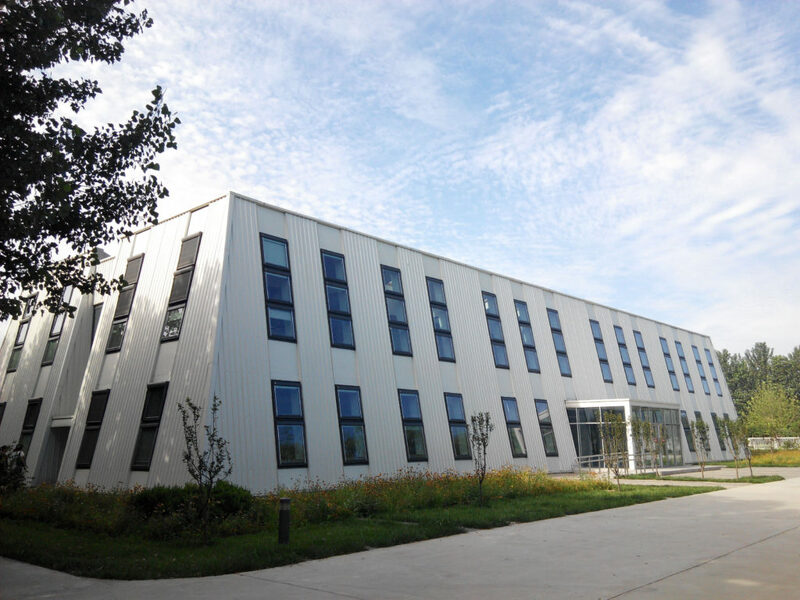 2.1 Energy demand: thanks to the efficiency of the heating, cooling and ventilation systems, and the high degree of insulation, the building has a low energy requirement. The high score of 1.6 is particularly impressive given the fact that the target figures were scaled for homes, where energy intensity is lower than in office buildings. 2.2 Energy supply: the high score for energy supply of 2 is due, primarily, to the heat harvested by the heat pump units and solar thermal collectors. a. Active House principles require the use of renewable electricity, which was never part of the design of this project; and, generally speaking, most office buildings do not get enough renewable energy to offset their electricity use. 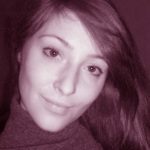 It is, however, believed that cogeneration using waste wood from production could lead to an improvement in this score. b. The requirements do not take into account the variation in primary energy coefficient for different world location. The average primary energy coefficient in China is currently 3.28, which is much higher than the average in Europe (around 2.5), which significantly worsens the score. Although out of range, the score is better than most buildings in China. The construction is to function as a showcase for optimal indoor climate, energy efficiency and the benefits of VELUX products: daylight and natural ventilation. – a TABS system (Thermal Active Building System). It provides both radiant heating and cooling, thereby improving the comfort of the occupants. The technology is very popular with the users. “It feels much better than panel heating,” says Managing Director Christian Olsen. 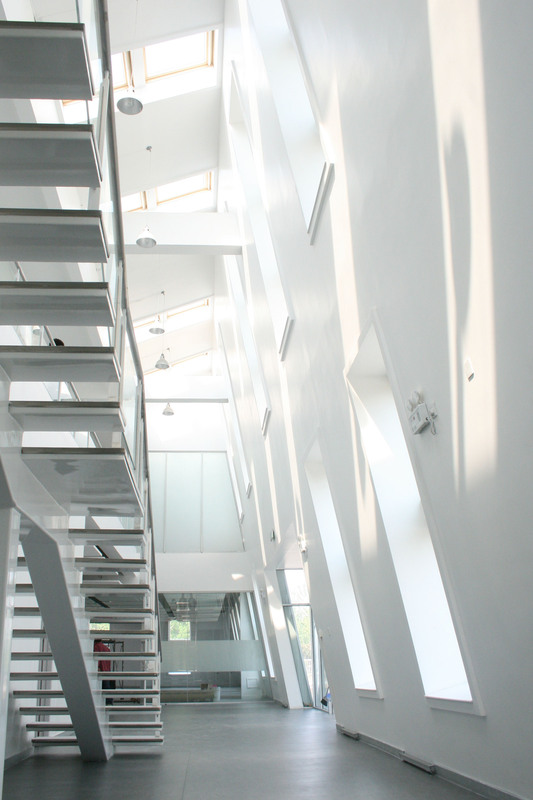 He adds that the interior design with big spaces and open staircases also functions very well. – A CO2 -based control of ventilation to adapt the fresh air flow rate to the density and number of people and their activities. -Extensive use of roof windows and facade windows. They provide masses of daylight, thereby minimising the need for artificial light, and enable fast, natural ventilation that contributes to cooling in the hot season. 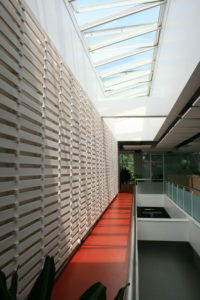 1.1 Daylight and view out: one of the objectives of the design was to harvest as much daylight as possible. 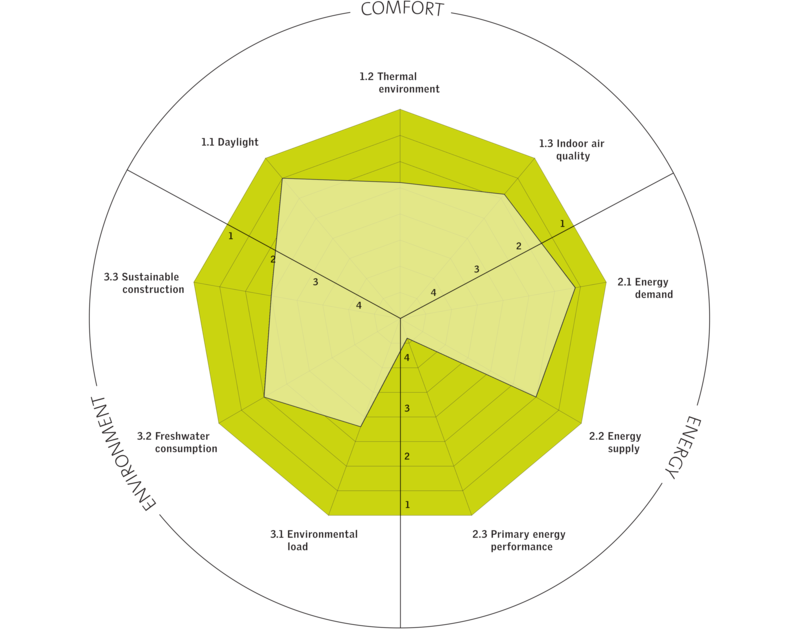 At 1.5, the project scores well in this category. 1.2 Thermal environment: the building scores 2.4. 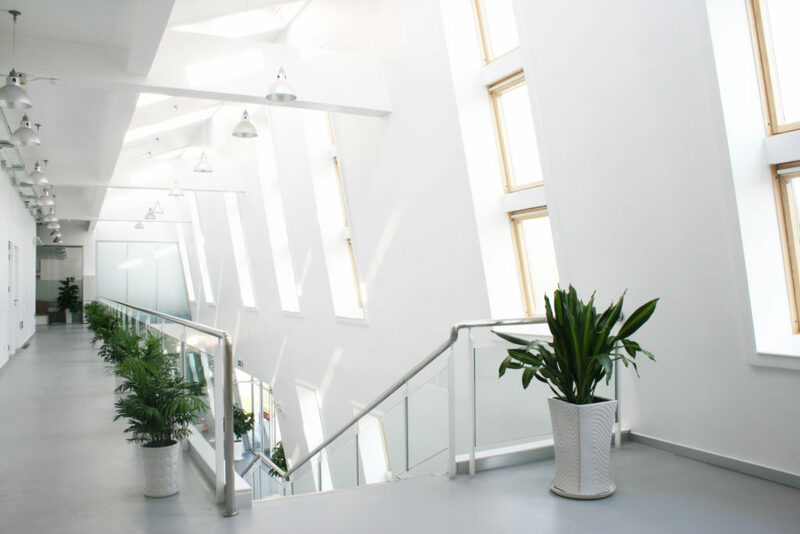 As it was designed to the high European standards for indoor environment quality (class B, PPD<10%, DR<20%), the building provides comfortable temperatures. The only reason for not achieving the best score is slow response of the heating system in the morning. The radiant temperature takes longer to rise due to the heavy thermal mass of the building. 1.3 Indoor air quality: the project scores 1.9. The Air Handling Unit delivers 100% fresh air and is controlled by CO2 sensors. 3.1 Environmental loadings: the score is 2.8. This was not an initial objective of the project and the LCA (Life Cycle Analysis) was based on data from the European database. The score does not, therefore necessarily reflect conditions in the construction industry in China. 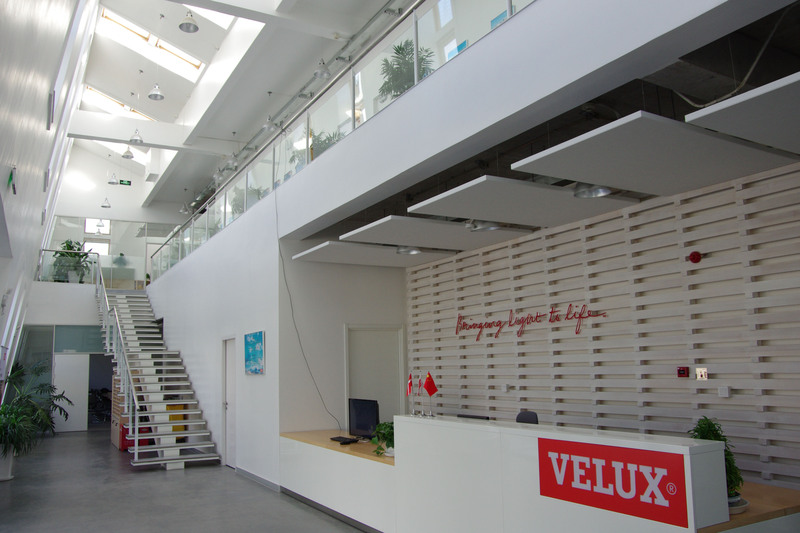 VELUX Langfang Office is the headquarters of VELUX China. Located in the Heibei province, around 45 kilometres from the Chinese capital of Beijing, the building houses management, marketing and the technical department and sales division. The two storey building, with sloping walls and in the shape of a pyramid with cut-out top, is the workplace of 54 employees. The radar shows the results of the Active House rating of the VELUX Langfang office. However, a number of things must be borne in mind in the analysis: this guideline is intended for use in residential buildings; the criteria adopted apply to European standards and not Chinese, as data is not as readily available in China as it is in Europe. The presented score is calculated, not based on measured data.